Here’s an overview of some of the commands you’ll be using the most in TimelineFX. TimelineFX is very Object Orientated so most of the commands are accessed through the objects you create. The main object in TimelineFX you will use is tlParticleManager. You need to know how to create one, how to update it, and how to render the effects and particles it is managing. You also need to tell it the size of the screen you are rendering to. Pretty straightforward. There is a parameter you can pass to the create command which is Particles:int. This defines the maximum amount of particles that this particle manager can update and render at any one time. The default value is 5000 which should be more then enough for most games, probably even too much! The mini game “Vaders” that comes with the module uses 3 particle managers in this way to draw clouds in the background, all of the explosions and bullets in the play area and the power up effects in the foreground. So with that you can now draw effects at screen coordinates. If your game scrolls about a world then SetOrigin will be what you need to use to keep the particle manager in sync with your game camera or which ever method you use. Take a look at A Simple Program for an example of a timing code set up with TimelineFX. This will load the effects, now we need to retrieve the effect we want to use. For this, a quick introduction to a new object: tlEffect and a the command GetEffect. The TempEffect can now be discarded as it is now managed by the particle manager. 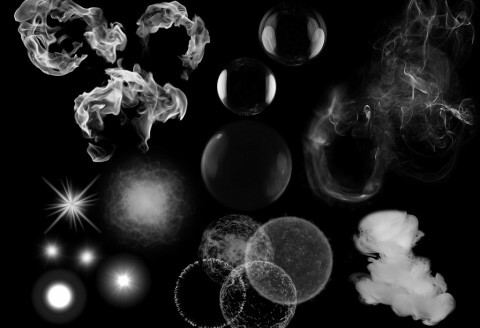 Now that the Particle manager has something to work with you can start seeing some effects on screen. All this does is tell the particle manager how long it should wait (in frame updates) before removing effects it manages that no longer have particles. You may wonder what the point of it is, but with some effects you might have points where the effect is not spawning anything for a while but it will in a short while, for example: intermittent lightening effects. So you can use this to set the idle time to an amount where you know effects will only be deleted when you know for sure they have actually finished. That will instantly clear out all of the effects and particles currently being rendered so quite handy if its the end of the game and you want to switch back to the title screen or something. To see a working example of all the commands mentioned here take a look at A Simple Program.